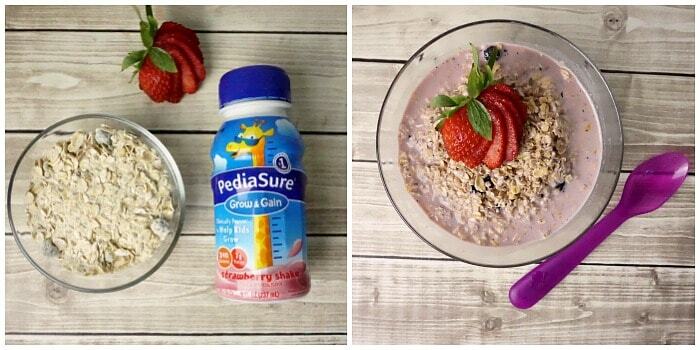 This is a sponsored post written by me on behalf of PediaSure® Grow & Gain. All opinions are 100% mine. Make Things They Like. Seriously, I’d die of starvation if I only ever cooked green beans and salmon. I make things I like to eat and, if you’re concerned that your picky eater isn’t growing, you should make the things–the healthy things–that they will eat. For us, that’s Pepper Steak and spaghetti squash bolognese. She’ll eat those any night. Go buy some PediaSure® Grow & Gain at Walmart. This is a gluten-free, kosher, and halal, solution in 5 different, yummy flavors, as well as being suitable for children with lactose intolerance–so it hits ALL the highlights for my toddler. And it’s clinically proven to help kids grow as well as being the #1 pediatrician recommended Brand. Pretty cool. Get creative. 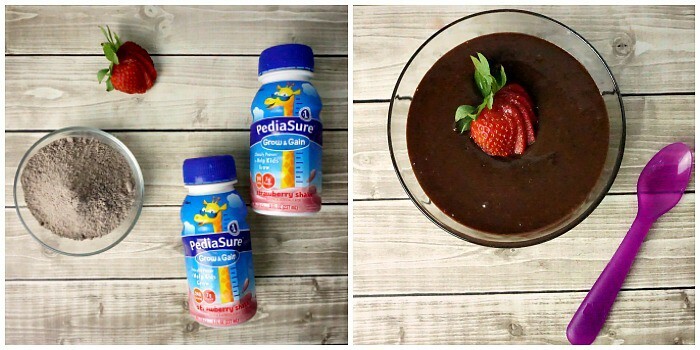 Pack calories into foods they love like easy strawberry oatmeal (1 strawberry PediaSure® shake + 1 packet of instant oatmeal) OR 5-minute hazelnut pudding (2 vanilla or chocolate Pediasure shakes + 1 small box of chocolate pudding + 1/4 cup crushed hazelnuts). 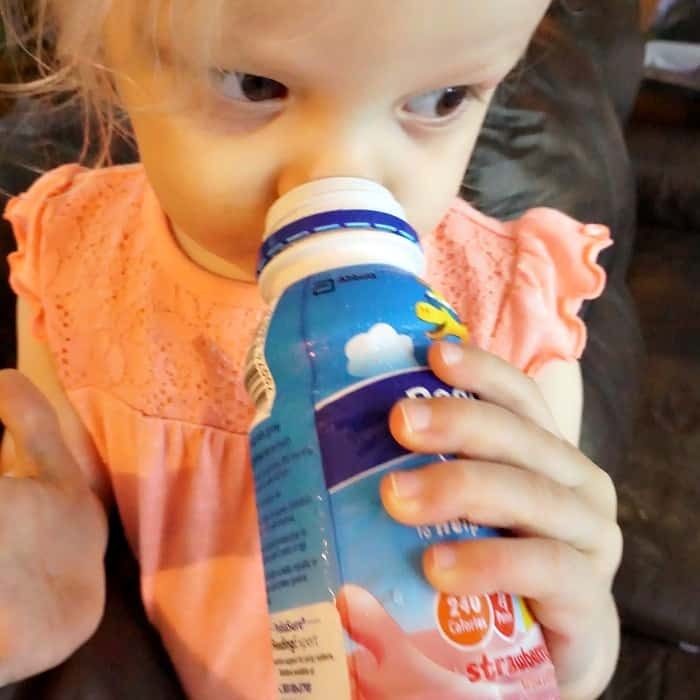 And if you’re using Pediasure, to help your picky eater get to growing, you need to be getting them to eat 2 of these shakes every day for 8 weeks. So, you need to think outside the box and incorporate these awesome shakes into their everyday meals. Offer a special “treat”. 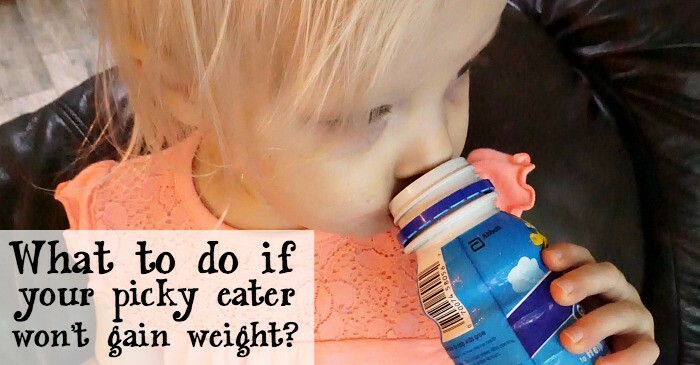 My go-to for this trick is the PediaSure Grow & Gain. I know I’m packing-in the good stuff, but my toddler just thinks it’s a yummy treat for having “helped” me fold laundry or maybe having behaved at the grocery store. But, turn these shakes into a treat…you’ll see them sucking those 2-per-day down quick! But the treat could be that pudding (that really yummy pudding with the chocolate and the hazelnut…mmmm). Or even “freeze pop” of the shake with a few nuts stuck to the outside. I’ll take that for a treat any day. Heh. So, let me know if you’re facing the question of what to do when your picky eater isn’t growing…I’d love to know I’m not the only one out there with the same problem. Just drop me a comment below or find me on Facebook. And don’t forget to sign-up for the PediaSure email to get 8 weeks of awesome savings and benefits like coupons, healthy meal planning ideas and nutritious, kid-friendly recipes. You can start by getting a coupon now to save $3 on any 2 PediaSure. Awesome, huh? 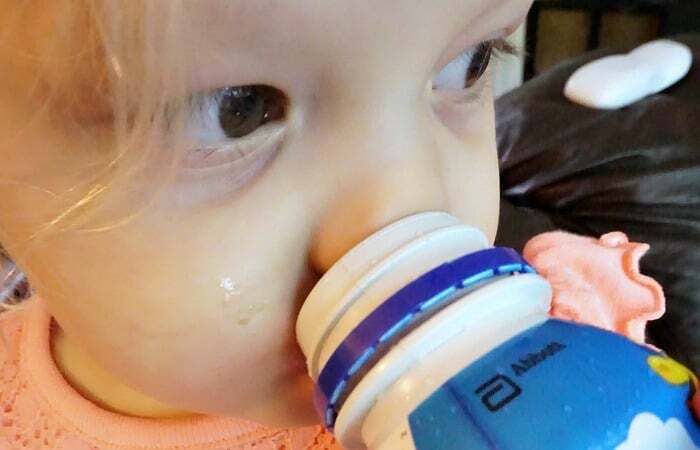 For more information, go check out Walmart.com where you can see a lot more about PediaSure and all the yummy flavors available.